With our feet rooted in tradition, and our hands reaching out to innovation, our company has participated in the revival of wines from Burgundy, the Languedoc, and the Rhône Valley for over 20 years now. By staying on top of market needs and being attentive to our environment, we consider our cuvées as moments of pleasure for those who taste them. The harmony between the wine, the context, and the people who share in its enjoyment represents our vision of the perfect accord. With increasingly demanding expectations and requirements, Badet Clément offers wines whose unique character tells the story of their terroirs and the open-mindedness of the professionals who conceive of them, each in its own way. Keeping an open mind always, means maintaining an unrestricted and creative outlook, interconnecting points of view and ideas, encountering different terroirs and allowing for the expression of different grape varieties. It is also the starting point for stimulating discussion, lasting partnerships, and innovation. 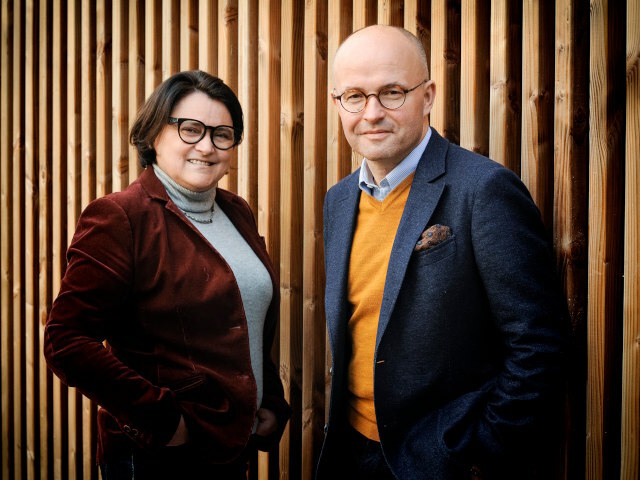 Founded in 1995 by Laurent and Catherine Delaunay, two winemakers of Burgundian origin, Badet Clément is specialized in the production and marketing of brand and estate wines hailing principally from France’s Burgundy, Rhone Valley, Languedoc and Provence regions. 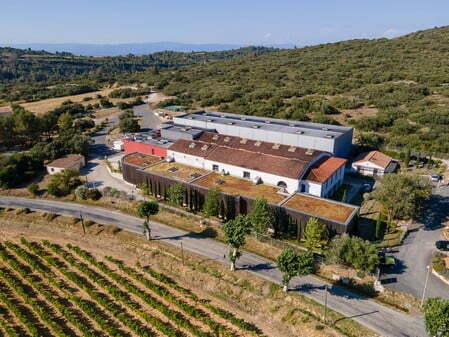 The company is especially known for “Les Jamelles”, its flagship brand of varietal wines from Pays d’Oc, and its signature ranges of high-end wines: “Abbotts & Delaunay” from the Languedoc and “Edouard Delaunay” from Burgundy. Based in Burgundy with its head office located in Nuits-Saint-Georges, the company manages production at its various sites mainly located in Languedoc and Burgundy: a winery and ageing cellar in Marseillette, a winery (Aude), cellar and blending facility in Monze (Corbières), grape production and vinification at Domaine du Trésor in Ouveillan (Aude), grape production at Domaine de la Métairie d'Alon in Limoux (Aude), a winery and ageing cellar at L’Etang-Vergy (Côte d’Or). The company also operates two family estates: Domaine du Guéret in Chénas (Beaujolais), Domaine de Lambisque in Bollène (Rhone Valley). 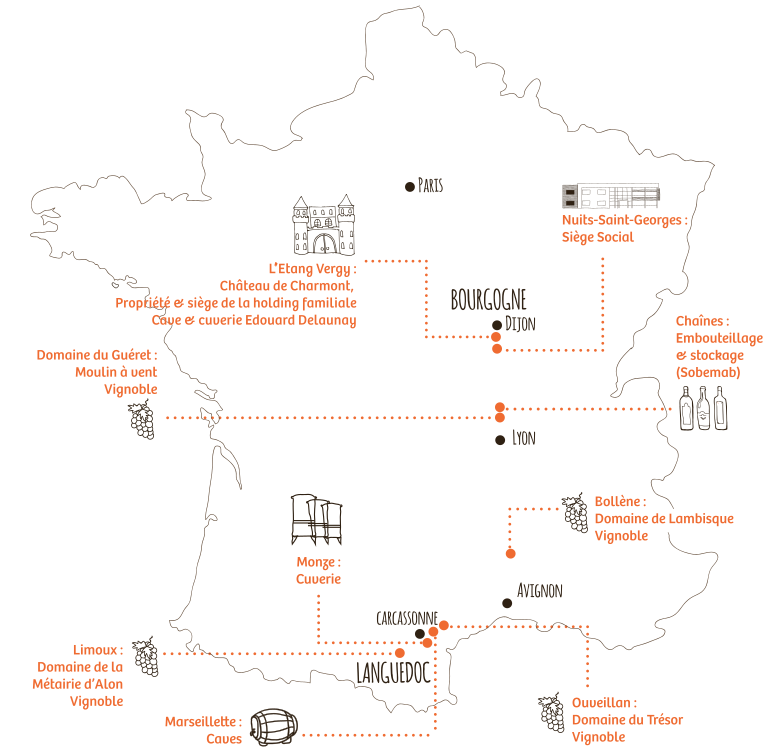 With its brands, its own estates and those distributed by the company, Badet Clément now sells over 15 million bottles of wine in the various distribution channels, 36% domestically and 64% in export sales in 55 countries. The company’s mission is to offer wines adapted to international markets that give consumers an experience that goes beyond their expectations. For that reason, Badet Clément’s teams, which include 8 oenologists, remain on top of market trends and instil a spirit of open-mindedness into every stage of the winemaking and marketing process with integrity, altruism, and increasingly demanding expectations and requirements.